Does hunting make us human? For the sake of our species, and of all the wild species that have managed to thrive or at least hang on in the modern world, we’d better hope not. As the nineteenth-century North American experience demonstrated, subsistence and market hunting are unsustainable. In an impressively short period of time, a US population that had only reached 50 million by 1880 virtually annihilated 30-60 million bison, somewhere between three and five billion passenger pigeons, and countless hundreds of millions of songbirds, waterfowl, deer, beaver, wolves, hawks, and any other wild thing that could be eaten, worn, sold, or demonized. The North American System of wildlife management that replaced market hunting offered wildlife a breather. First imposed from the outside, then adopted by the hunting culture, the ethics of restraint, a clean kill, and public ownership of wildlife successfully injected sustainability, humaneness, and democratic principles into the new enterprise of conservation. A large proportion of the population hunted, or benefitted directly from hunting, and worked closely with professionalized state wildlife managers to restore many species to abundance. Hunters engaged with wildlife in a way that fit naturally into their lives and into a recovering wild landscape. But in the final two decades of the twentieth century, as the population of the United States approached 300 million, the North American System failed. Habitat degradation and pollution replaced overconsumption as the principal threats to wildlife. The most successful wildlife species—deer, Canada geese, raccoons, and the rest—naturally proliferated in those environments that were most heavily shaped by humans, and least amenable to hunters and hunting. In most states, the numbers of hunters and trappers shrank to an insignificant minority—a minority too small to effectively fight destructive development through democratic action. The conservation efforts of the hunting community were further weakened by the alienation from potential coalition partners caused by its historic political and economic ties to the firearms industry. So, subsistence and market hunting are unsustainable, and recreational hunting no longer matters—nor, given our burgeoning population, can we let it matter—to the vast majority of Americans who live outside the sparsely populated Western states. 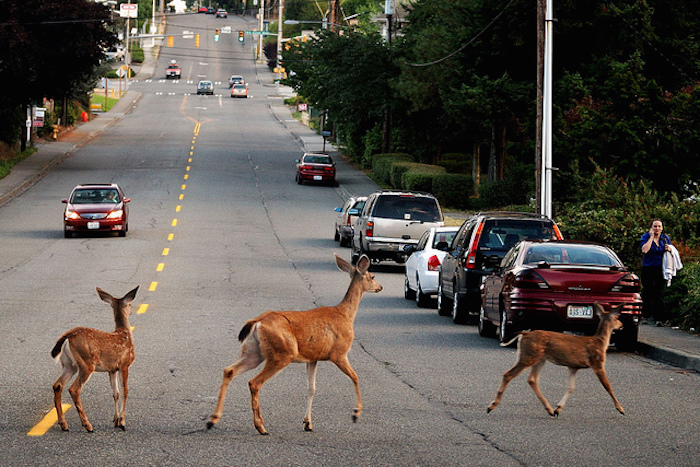 How then does hunting justify itself in a majority urban-suburban nation? 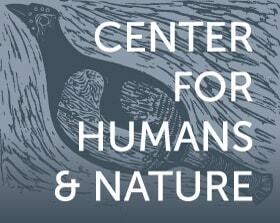 Modern hunting advocates advance two ethical narratives. The first narrative justifies trophy hunting as a pragmatic conservation tool. In his January 2014 New York Times op-ed, Richard Conniff makes a very persuasive case for auctioning the rights to shoot an endangered black rhino in the interest of conservation. Accepting his facts at face value, if a rich person wants to spend $350,000 to kill one animal, and that money will go to protect the rest of the species, where’s the problem? In my view, the problem (well, one problem) is this: these are the cold utilitarian ethics of the emergency room, the battlefield, the hostage situation. (One of my students suggested that more money could have been raised by also allowing people to bid NOT to shoot the rhino. Pay us $400,000, or the rhino gets it.) To save someone, you allow someone else to die, or maybe you even shoot someone—acts that would be unconscionable in everyday life. But it is for everyday life that we need a conservation ethic, one that is democratic, humane, and sustainable. Dependent on killing that is otherwise pointless, and on extreme inequities of wealth and power, trophy hunting for conservation is none of these. In the other narrative, gleefully expounded upon in David Drehle’s December 2013 Time Magazine cover story, hunters serve the human community and “the ecosystem” by repairing predator-prey imbalances associated with the anthropogenic transformation of the landscape. The thesis is transparently silly: one cannot sensibly argue that a handful of hunters will undo the ecological imbalances associated with golf courses, strip malls and half-acre lots. It’s also hypocritical: rarely can hunters kill enough deer to solve the problems of deer-vehicle collisions, damage to landscaping, and Lyme disease that drive suburban concerns. But ultimately the hunting solution fails because suburbanites do not want large predators of any kind in their backyards, not canid, felid, ursid, or human. That’s why we killed off the native predators in the first place: they do not belong in civilized communities. To a suburbanite, a bowhunter camouflaged in a tree stand in the Boston suburbs is just as alien and just as menacing as a cougar prowling the outskirts of Boulder. So, if hunting is practically and ethically irrelevant, how do we in the modern world relate creatively and constructively to nature and wildlife? The opening may lie in the direct engagement of communities in the solution of urban wildlife conflicts. Currently, suburban communities characterize their wild neighbors as either pests or pets. If deer or geese are pests, you hire somebody to get rid of them: nuisance wildlife control businesses, local police officers, or USDA/Wildlife Services. If they’re pets, you feed them, name them, and call your veterinarian if they look poorly. Needless to say, these characterizations are incompatible. Worse, neither approach invites the community to engage directly in solutions. By contrast, every deer contraception project we’ve ever conducted emerged from and thrived with the support and involvement of the host community. Our first field study, at Fire Island National Seashore, New York, was initiated by residents, funded by residents, and would not have been possible without the work of volunteer deer monitors. At our most recently completed field study, on Fripp Island, South Carolina, residents provided funding, vehicles, and housing for field personnel. At every study site, residents, visitors, and passers-by stop to ask us what we’re doing, and once they find out, if they can watch, or help. A sleeping deer on the ground is the coolest thing they’ve ever seen. They invite us to lunch. For our new project, in Hastings-on-Hudson, New York, nearly three dozen people showed up at an organizational meeting last month to volunteer to help track deer, secure darting sites, stock feeders with bait, and measure deer impacts. The community set up a website for reporting deer observations, and a local high school student wrote a program to display the observations on a map. I understand: deer contraception is weird, and hardly looks like the source of a new wildlife ethic. When I explain to new acquaintances what I do, they mock me. Then they start asking me questions. This odd juxtaposition of nature and technology encourages in the twenty-first-century mind a sense of curiosity, then of responsibility, then of community ownership. Many suburban communities will choose not to embrace this technology. But for those that will, contraception opens a door to learning and transforming attitudes about nature, and building appreciation for wildlife. That’s what we need to make wildlife matter, every day. Born and raised a suburban kid, Allen Rutberg did typical suburban kid things, except for his eccentric habit of disappearing into the unexpectedly wild forested parks of Queens, New York. Now as Director of the Tufts Center for Animals and Public Policy, Rutberg has spent more than two decades listening to, working with, and trying to understand his fellow suburbanites as they resolve their conflicts with wildlife, hopefully in ways that will leave them at peace with all their neighbors, human and wild.